New kitchen / dining / living space & minor internal reconfiguration, 2011 - 2012. In collaboration with Valerie Tse. 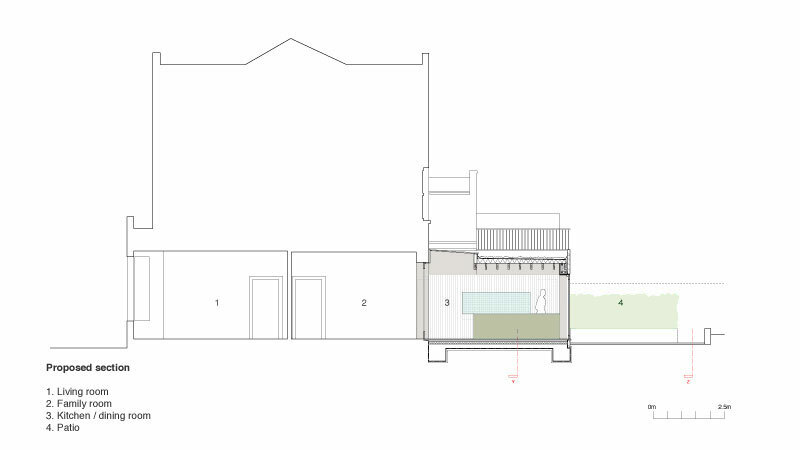 Project to revert two self-contained apartments within a substantial three storeyed Victorian house into a single family dwelling in a Conservation area in north London. Works include the addition of a single storey rear extension to create a new kitchen / dining area, new external sitting area & reconfiguration of the ground floor to rationalise the ancillary spaces.